Yes, I did this braided sock bun all by myself in my first-time EVER trying to do a sock bun! 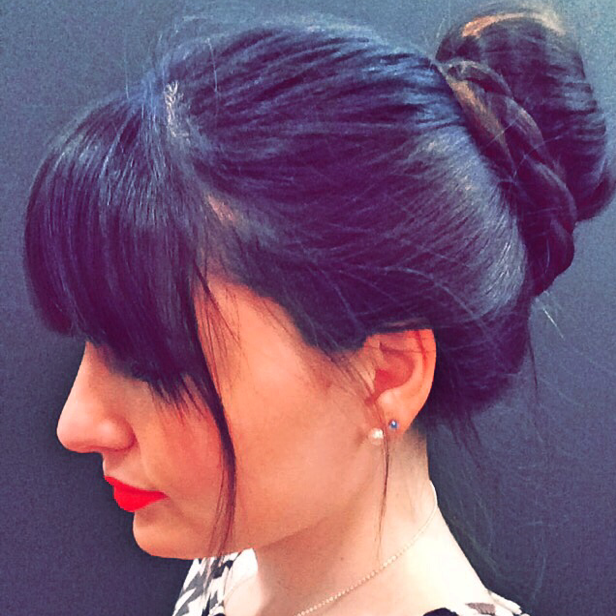 I have thick, long hair and when I did the sock bun I didn’t know what to do with my extra hair…. until I decided why not add a braid! It actually was pretty easy and it made my feel like I was a walking Pinboard with my hair in the pinterest style overwhelmingly popular trend! I have to say I can’t wait to try this again tomorrow! I’m thinking I should add the braid again?! What do you think of my hair? !